Please support the music department at OJH through attending our ONLY ticketed event: The Evening of the Arts. It is the BEST show of the year, featuring all the best from OJH's orchestra, band, choir, drama, and art students. All proceeds go directly to our students! Mr. Winters was honored to receive the Spirit of Excellence award from the Alpine School Board in September. He credits the amazing student musicians for getting the attention of the OJH administration and the district. There would be no award for excellence without such EXCELLENT young musicians. Thank you parents and students! This class is for students who are totally new to Flute or Clarinet, as well as those who want to play the Saxophone. Even with no prior musical experience, you will be playing amazing songs within just a few weeks! Join this class to learn a brass instrument, including Trumpet, Trombone, and Tuba. Who would have thought blowing into a metal pipe could be so much fun?! This is a 2nd-year band for those who have learned the essential skills of performance on a band instrument. The Concert Band gets more performance opportunities than the beginning groups and participates in the District Intermediate Band Festival. This is Orem Junior High's premiere band, and is filled by audition. This group learns to play all kinds of musical styles and performs in many concerts and venues throughout the year, including at the University of Utah's Libby Gardner Hall. Want to take your band experience to the next level? You just have to roll out of bed extra early every other day and come have a blast in the early-morning jazz band! Here you will learn advanced jazz an rock styles and how to improvise killer solos. This is the place to get started with a string instrument. You can choose Violin, Viola, Cello, or Bass, and learn to read music and make music like a BOSS! This class is for those who have already passed through Beginning Orchestra or who have taken prior lessons on a string instrument. The Concert Orchestra gets more performing opportunities and participates in the District Intermediate Orchestra Festival. The Symphony Orchestra is the top string ensemble at Orem Junior High, and is filled by audition. This group performs a wide variety of musical styles and travels and performs more than any other string group, including a trip to Salt Lake City for the State Orchestra Festival. Mr. Curtis Winters grew up in Glendale, AZ, where he took violin lessons starting in 2nd Grade, and joined the school band on trombone in 5th Grade. In 1990 he said goodbye to the Valley of the Sun and moved to Happy Valley. Attending BYU on an academic scholarship, Mr. Winters played trombone in the Cougar Marching Band for 4 years, and served as Drum Major for 2 years. He also played in the Dixieland Jazz Band and Synthesis (BYU's top Jazz Ensemble). In 1996 Mr. Winters toured Europe for 4 weeks with Synthesis, and was a featured trombone soloist on the Synthesis: Live at Montreux album. After graduating in Music Education in 1998, Mr. Winters was lucky enough to become a Jaguar, and began teaching band at Orem Junior High. A few years later he started teaching some of the orchestra classes. Now he teaches the entire band and orchestra program, and loves music education more than ever! All 3 of his top ensembles (Symphonic Band, Symphony Orchestra, and Jazz Band) have achieved consistently high ratings and are regularly invited to the State Festivals, placing them among the top 20 in the whole state of Utah! In 2012, while pursuing his Master of Music degree at BYU, Mr. Winters received a prestigious Graduate Research Fellowship grant to develop Improv Pathways, a jazz improvisation method for middle school jazz bands. He graduated from BYU (again) in December, 2012, and continues to seek for new ways to help students succeed in band and orchestra. Mr. Winters has won a Best of State medal for producing the New Bop Big Band, the youngest jazz band in the Caleb Chapman Soundhouse. 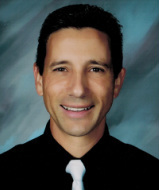 He was also awarded the "Superior Accomplishment" award in 2017 from the Utah Music Educators Association for creating the NinGenius Music app for iPhone and iPad. He has several YouTube channels, with over 4,000 subscribers, and has posted dozens of educational videos over the years. A few years back the song "This Is How We Roll" was a big hit on all the radio stations. I liked it, but wanted to jazzify it and add some of my own musical twists. You can check out my first (and only) performance YouTube video here, which includes a pretty awesome electric trombone solo! The crickets really seemed to like it. Symphonic Band - "Band Wars"